Zoho People is an inexpensive, highly effective, and feature rich online Human Resource Information System (HRIS). Take the Zoho People video tour. Zoho People manages all your employee information from one central place - your Employee Portal. It also manages information such as your company assets, specs, training records, leave applications and more. administration workload is dramatically reduced because staff manage much of their own information, via the web and you have online access to your entire company's employee reporting hierarchy. The Zoho People employee portal provide you with all that you need to record your staff's basic demographic data and important human resource information. Managers and employees are able to manage their own information, which dramatically increases data accuracy and reduces your human resources personnel's administration workload. Just drag and & drop fields and edit their properties and you have the forms unique to your own company's requirements. These forms can even be integrated into Zoho Wiki as an embedded form in your company intranet to increase efficiency for your staff and do away with all those paper forms. For example, let's take leave requests: a member of staff wants to take a week off, they would simply navigate to the relevant section in the company wiki and submit the leave request, which gets approved by their manager. The leave data gets logged within Zoho People against their personnel record and can be exported if required. Zoho Recruit is designed for the human resource requirements of small to medium sized businesses and staff and recruitment agencies. Zoho Recruit is very easy to use, and highly cost effective for both human resources departments and recruitment companies by categorizing applications thereby allowing personnel to easily review resumes and schedule interviews, whilst, at the same time, applicants have access to available job listings. What this means is that H.R. and recruitment staff spend less time on mundane clerical work and more time on selecting the right candidate for the job. Zoho Recruit empowers staff and recruitment agencies by providing a total solution for applicant tracking in the staffing and recruiting process, from the sourcing of potential candidates right through to hiring candidates. Zoho Recruit automates and improves the processes of all of the in-company hiring activities. 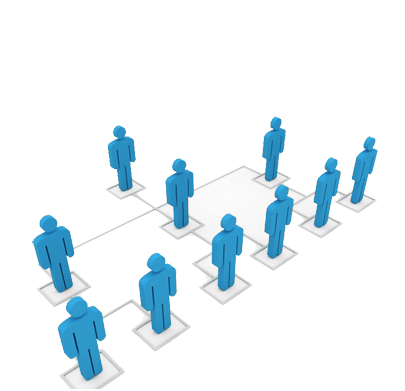 Zoho Recruit helps organizations to draw together resumes from multiple sources and manage them centrally. CRM Asia Solutions understands that companies have different recruiting processes. And Zoho Recruit can be fully customized to meet all your needs with customizable fields using the easy drag-and-drop UI. And, using workflow rules, you can also automatically generate customized email notification on the change of status. For more exposure for available jobs, publish them in your website directly from Zoho Recruit and receive more applicant resumes, more quickly. You can upload contract documents and other necessary recruitment documents for easy reference and also analyze status of all available jobs and candidates. Resume parsing today plays an important role in the efficiency of all recruiters. Zoho Recruit is integrated with the eGrabber’s product - Resume Grabber, which is a resume parser application, which means that you can populate Zoho Recruit from different sources such as mail attachments, resumes in folders, from job portals, social sites, and Google & Yahoo! search results, etc. And what that means is much less time spent preparing and entering resumes. Zoho Recruit allows you to access Google Apps with a single sign on, so you can easily access Google contacts, users, calendar and emails from within Zoho Recruit. With Zoho Recruit you can track all your emails with candidates and clients from within Zoho Recruit. In summary, Zoho Recruit provides you with comprehensive applicant tracking giving you with a faster way to get right candidates, allows you to do more by reducing mundane clerical work, can be customized to your organization's requirements, and importantly, provides with central views from the Zoho Recruit database.